It almost sounds like an oxymoron, but some online financial technology (fintech) lenders are spending huge amounts of money to reach their target clients. And the avenue they’re all using is none other than tried-and-true direct mail. This may be surprising for some, but if you know the nature of financial institutions, be it online or brick and mortar banks, direct mail marketing is still the most reliable and most effective means to communicate with consumers regarding their money. If you’re surprised that online lenders are using direct mail to reach clients, then you’ll be blown away by these numbers. Monthly personal loan offers sent through the mail have doubled in the past two years, from $73.0 million in 2013, to $156 million this year. July saw fintech company Lending Club spend $33.9 million mailing personal loan offers, which is double what they spent during the same month last year. In addition, they increased their sales and marketing for the first half of this year to $75.2 million. That represents an 89% increase from the first half of 2014. This is according to ad tracking company Mintel Comperemedia. When this much money is on the line, there’s only one thing that matters; results. Fintech company Martell Funding LLC lent over a billion in unsecured loans since March of last year. 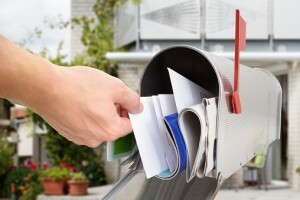 More than 90% of its customer acquisition came from offline channels, with direct mail making the bulk of those numbers. Overall, the response rate with social media or e-mail marketing is not comparable. Direct mail response rates are 3.7% compared to the 0.1% by those other mediums. Make no mistake; these lenders are still taking the steps necessary to execute successful direct mail campaigns. Prescreening customers is something that is central to the success of these campaigns and is a step that doesn’t get missed. When looking at the extraordinary figures being spent by large corporations whose aim it is to function online, it’s easy to conclude that direct mail is not only still relevant, but it can actually be said that it is thriving. Especially in the financial sectors, direct mail is seen as the foremost medium for effectively reaching targets, engaging these targets, and having them respond at rates higher than any other form of marketing. Macromark has close to 30 years of experience in direct mail marketing. We know the power it possesses in getting people to take notice and take action. We have the experience and the capabilities to facilitate marketing campaigns, and have done so for countless numbers of clients. Learn more about Macromark by visiting our web site.